Passengers flew out of British airports in record numbers last year, according to new figures from the Civil Aviation Authority. But a leading airport industry figure is warning that the Government must act quickly to keep pace with such unanticipated growth. More than 251 million travellers flew into or out from British airports - a hike of 5.6% between 2014 and 2015. This is 17 million passengers above the Department for Transport's most optimistic estimate just three years ago, says Airport Operations Association (AOA) chief executive Darren Caplan. The figures represent a massive recovery from the 2008-09 financial crisis which saw passenger numbers plummet. Many of last year's passengers will have travelled with peace of mind, thanks to taking out trusted travel insurance. This not only gives them protection should their passport and other travel documents go missing, but it also covers stolen holiday possessions. Mr Caplan says Britain faces increased pressure on airport capacities. He predicts that some of them will hit capacity ahead of even recent forecasts. They will need swift Government measures to help them cope with demand, Mr Caplan says. Mr Caplan says that the airport sector is doing everything in its power to meet the record demand. He praised the hard work of airport personnel in helping the industry to fight back following the recession. Ministers have been criticised after seemingly avoiding the capacity issue last year. This followed the influential Davies Commission's decision to recommend giving Heathrow another runway. 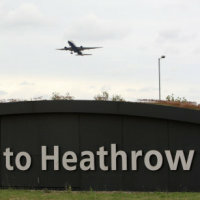 Some of the business community condemned the Government for indicating that a final decision on London airport expansion might not happen until the end of 2016. The AOA represents more than 50 British airports.